The fact that malaria is still an uncontrolled disease is reflected by the genetic organization of the parasite genome. Efforts to curb malaria should begin with proper understanding of the mechanism by which the parasites evade human immune system and evolve resistance to different antimalarial drugs. 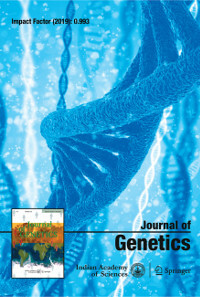 We have initiated such a study and presented herewith the results from the in silico understanding of a seventh chromosomal region of the malarial parasite Plasmodium falciparum encompassing the antigenic var genes (coding pfemp1) and the drug-resistant gene pfcrt located at a specified region of the chromosome 7. We found 60 genes of various functions and lengths, majority (61.67%) of them were performing known functions. Almost all the genes have orthologs in other four species of Plasmodium, of which P. chabaudi seems to be the closest to P. falciparum. However, only two genes were found to be paralogous. Interestingly, the drug-resistant gene, pfcrt was found to be surrounded by seven genes coding for several CG proteins out of which six were reported to be responsible for providing drug resistance to P. vivax. The intergenic regions, in this specified region were generally large in size, majority (73%) of them were of more than 500 nucleotide bp length. We also designed primers for amplification of 21 noncoding DNA fragments in the whole region for estimating genetic diversity and inferring the evolutionary history of this region of P. falciparum genome.